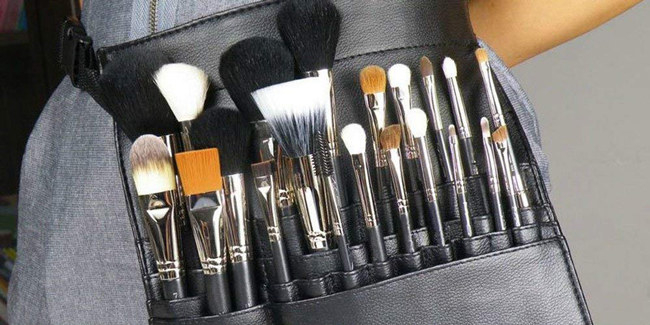 Your makeup collection is about to be organized AF. 1. 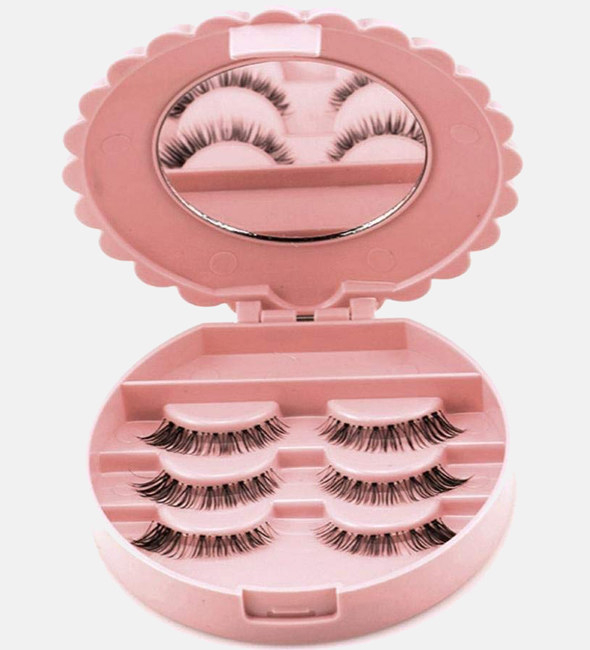 A lovely eyelash storage case so your go-to falsies will always be protected. Get it from Amazon for $0.45. 2. 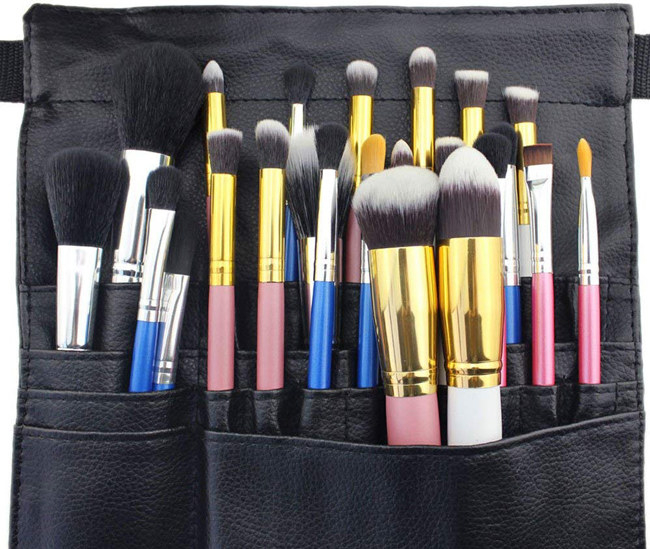 A pouch with a waist strap that makes it easy to access your brushes when doing your bestie's makeup or working on a client. 3. 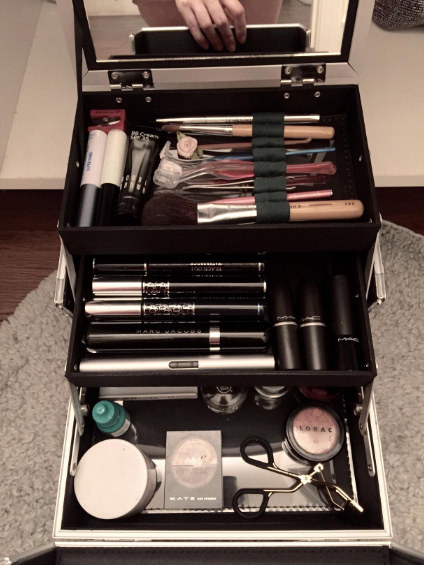 A giant case with a mirror so you can tote all your products around and keep them protected from all beauty dangers. Get it from Amazon for $22.61+ (available in six colors). 4. 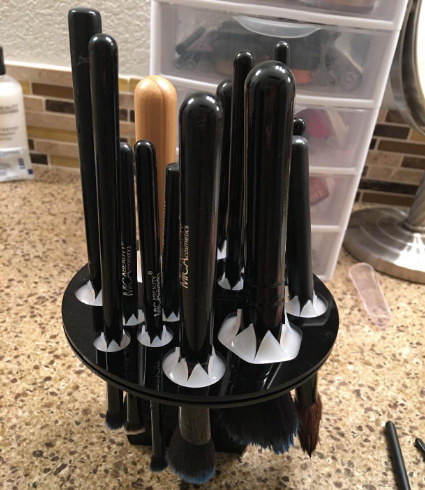 A collapsible makeup-brush tower, which will allow you to air-dry your brushes while keeping their bristles from getting crushed. Get it from Amazon for $8.99 (available in two sizes and two colors). 5. 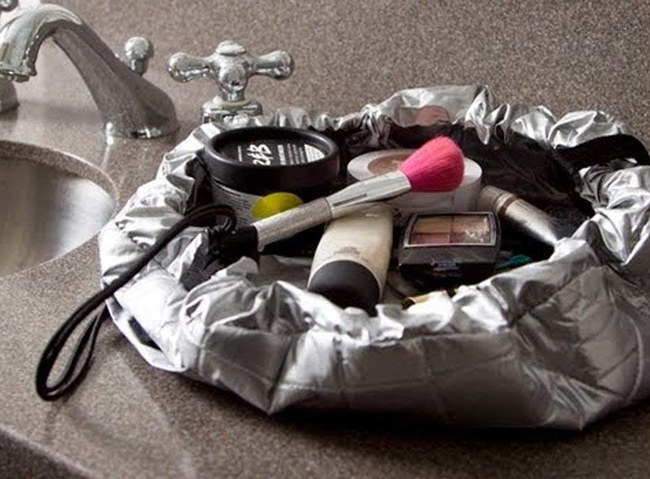 A cosmetics mat that'll transform into a travel pouch you can set up anywhere your trips take you. 6. 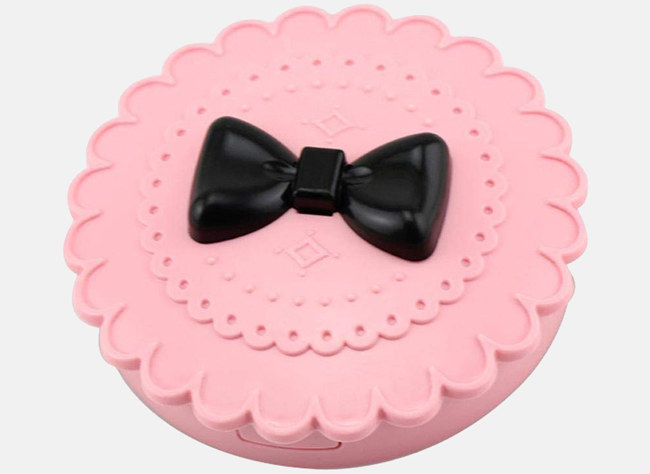 A compact organizer that's a great choice for holding eyeshadow, highlighter, and couture palettes. The organizer holds eight compacts. 7. A lovely blender holder to store and air-dry your blending sponges in style. Get a three-piece set from Amazon for $6.99. 8. A vintage-inspired makeup brush holder you can fill with pearls, beads, or stones to give your vanity a chic look. 9. 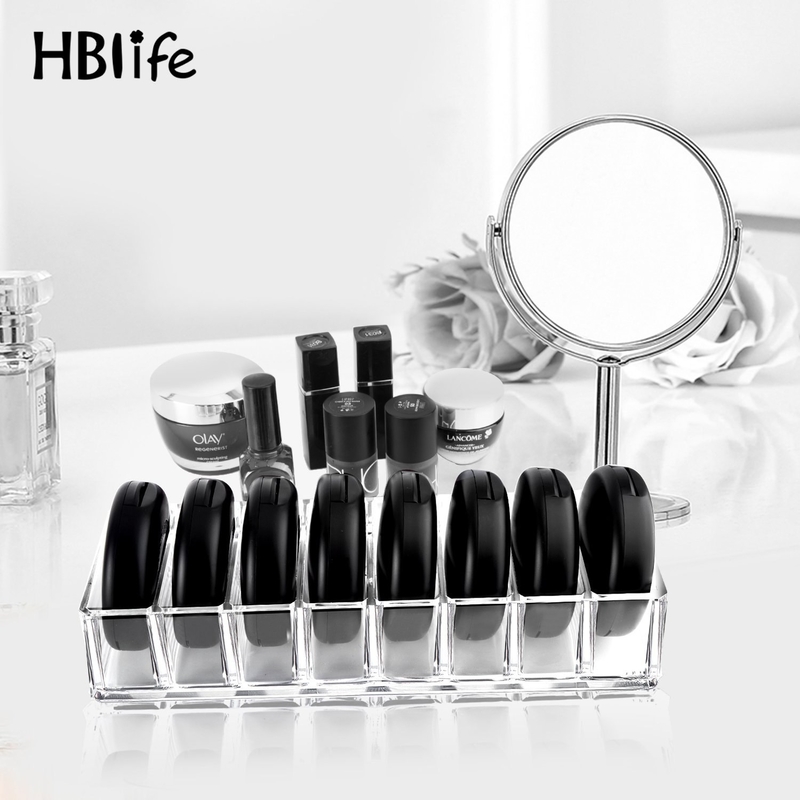 A transparent organizer that’ll be the perfect place to store your lipstick collection. 10. A lighted vanity mirror with some handy compartments to house your go-to beauty products. 11. 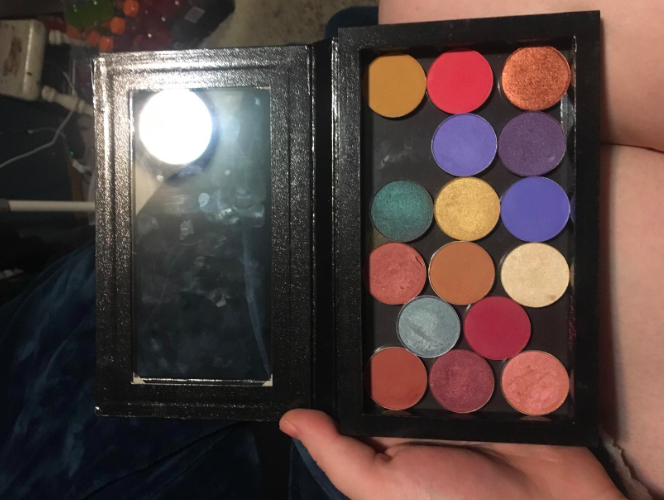 A multi-level palette organizer so you can access your beloved shadows with ease. 12. A six-drawer organizer cart to add some extra storage space to your bathroom (or getting-glam room). Get it from Amazon for $46.47+ (available in three colors and seven styles). 13. 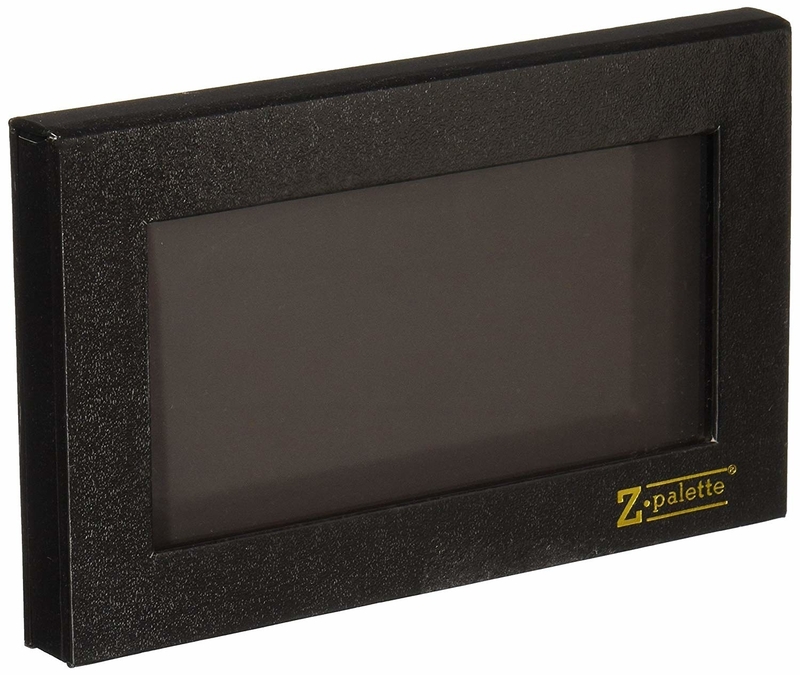 A magnetic Z Palette that’ll give you a dedicated place to store all your eyeshadow pans. 14. A pretty set of acrylic desktop organizers to make your bathroom counter or vanity an orderly beauty heaven. Get them from Amazon for $13.95+ (available in 16 color and style combos). 15. 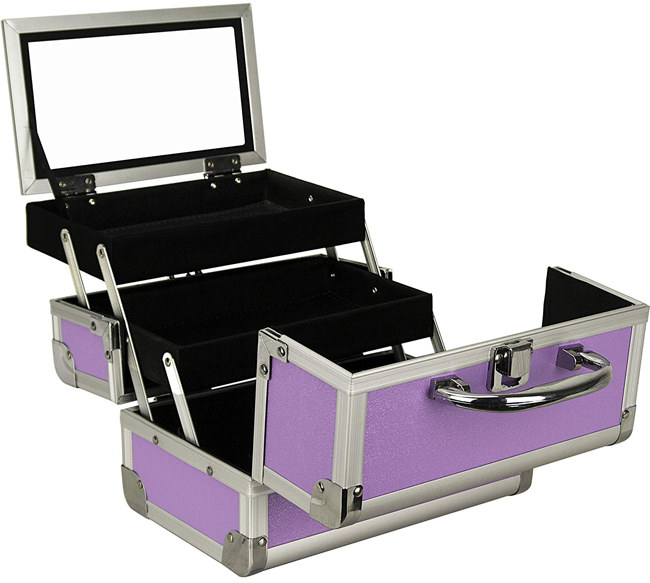 Stackable drawers that are the perfect size for storing makeup palettes, nail polish, and all your other beauty goodies. The set includes two drawers. 16. 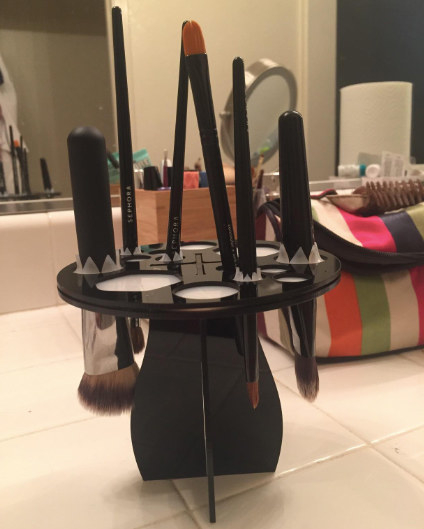 A carousel organizer so you can grab the products and tools you need with just a simple turn. Get it from Amazon for $24.99+ (available in six colors). 17. 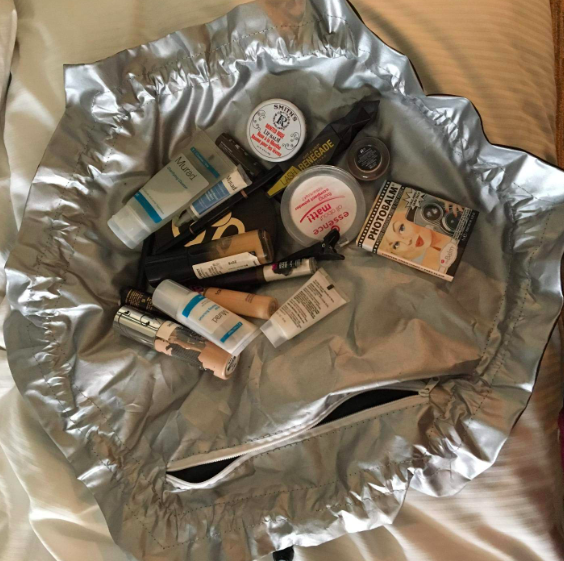 A travel bag with tons of compartments, which’ll be a great way to house your makeup and beauty tools for your next getaway (or trip to a client's). Get it from Amazon for $18.99+ (available in two colors). 18. 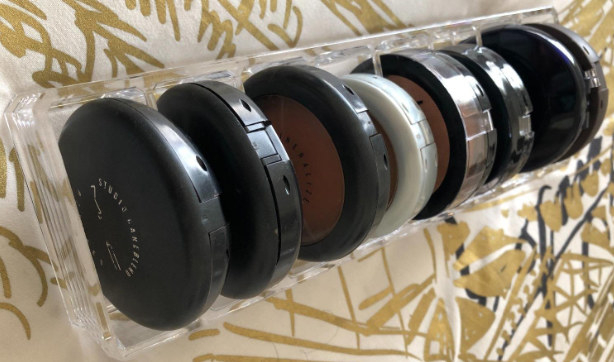 A package of StickOnPods perfect for small apartments, so you can store items like lipstick and eyeliner inside of your bathroom cabinet or on your wall, freeing up some counter space. The set includes three StickOnPods. Get them from The Container Store for $9.99. 19. A set of stackable acrylic boxes so you’ll have a space to keep cotton balls and swabs visible and clean. Get them from Amazon for $9.89.